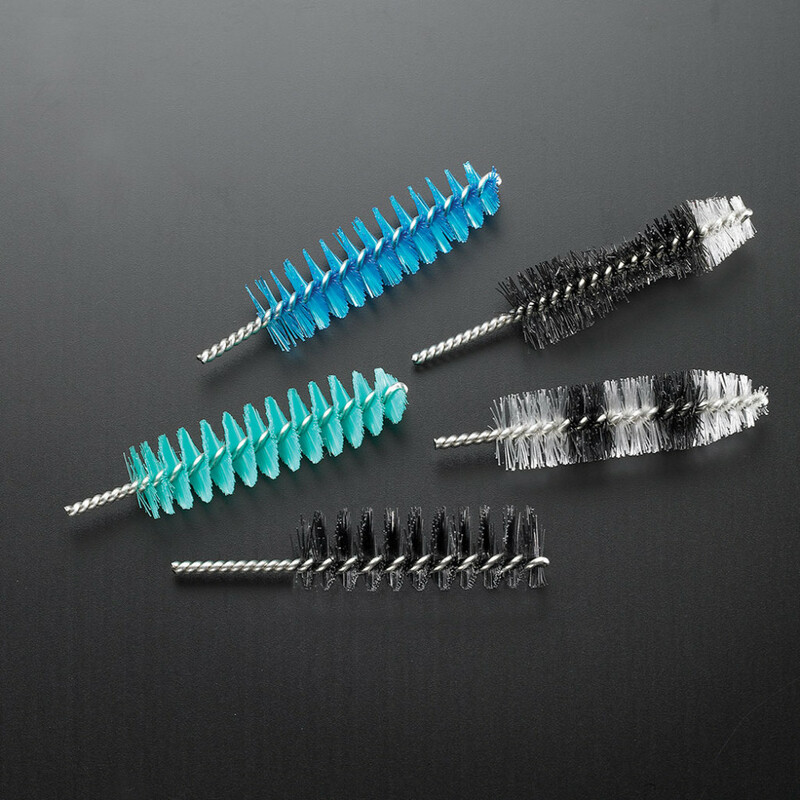 Large-volume twisted wire brush innovation assistance, automation and supply integration solutions for industry leaders serving the medical, firearm, cosmetic and OEM cleaning markets. 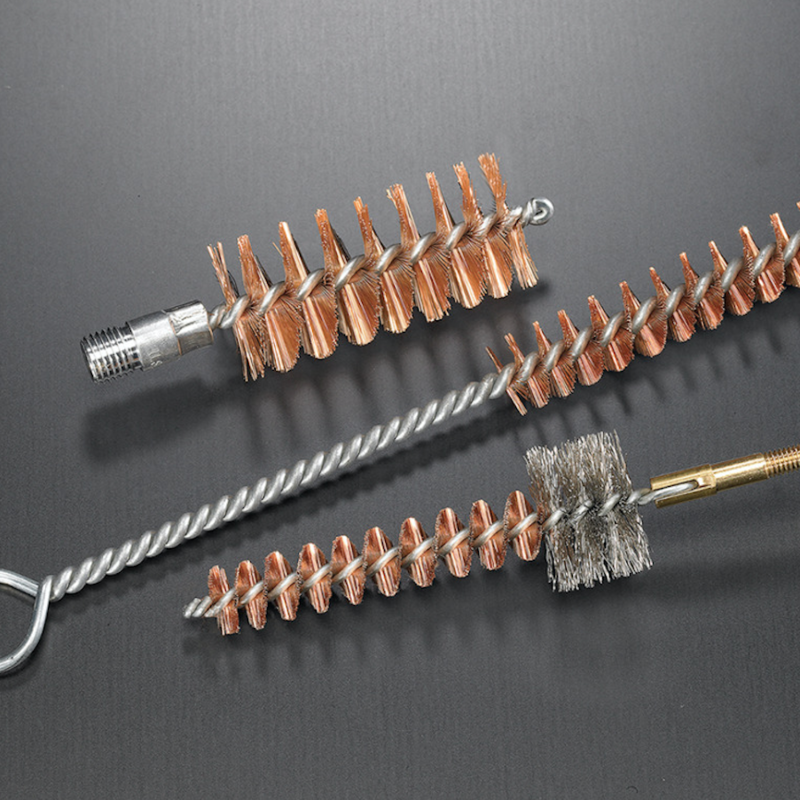 We know saying we’re passionate about twisted wire brushes might sound strange. But the fact is, we get it. 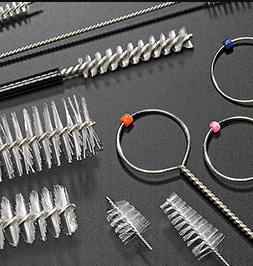 Sanderson MacLeod’s team thrives on being the ultimate specialized, spirited and trusted source for your mission-critical twisted wire brushes. We think beyond the catalog and creatively find ways to deliver profit maximizing brush solutions to each and every client. 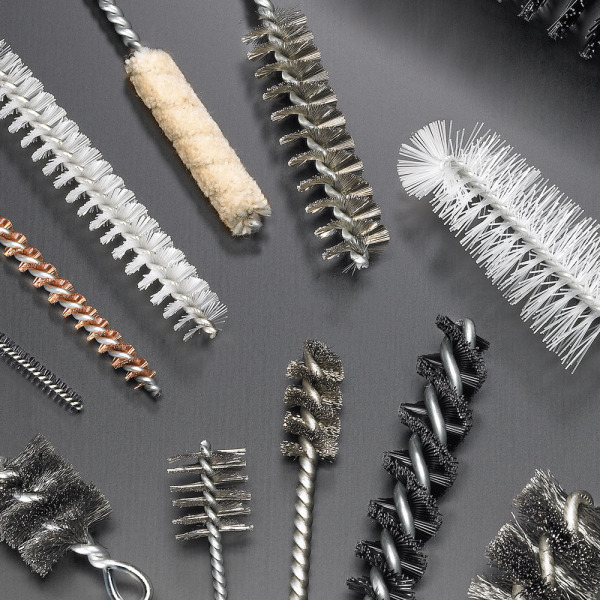 From breakthrough brush innovation projects to supply chain integration, we’re all about leveraging our experience and know-how in ways that produce perfect twisted wire brushes…even for your most challenging needs. Come to think of it, our passion for brush making might just be the competitive advantage you’ve been looking for. Work with Sanderson MacLeod once, and you’ll soon realize you’ve tapped into a proven and efficient system of processes designed to deliver consistent, outstanding twisted wire brush results every time. Whether it’s product development, production efficiency or streamlined supply integration you seek, let Sanderson MacLeod’s experienced team get you where you need to go faster than anywhere else. Sanderson MacLeod’s approach to business is as simple as 1-2-3. Facilities, tools, techniques, and talent ready to make your concept a reality. Engineering and machine building advancement for an extra competitive edge. Cost-saving inventory reduction, supply integration, and scalable production programs. Let’s build the perfect brush…Together. 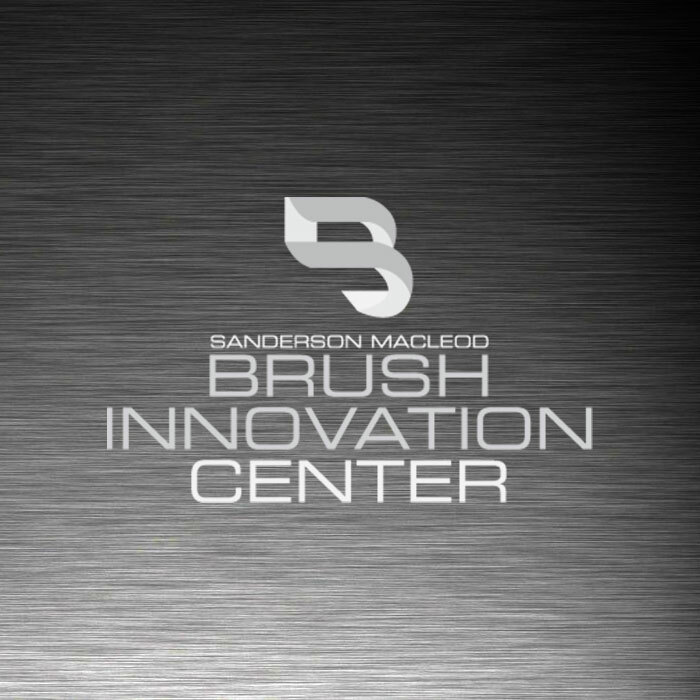 For more than 50 years, the good people at Sanderson MacLeod have challenged limits, pioneered new technologies and changed the way people think of brushes. You see, we don’t just make brushes…we produce the critical tools you and your customers need to perform perfectly every time. Four generations of brush making experience, talented design engineers, unparalleled innovation resources and a world-class production team are just a few reasons why the leading Medical, Cosmetic, Gun Care and OEM companies have chosen Sanderson MacLeod to be their exclusive twisted wire brush resource. So…Feeling creative? Let’s put our heads together and go to work. We know you’ll be impressed. We’ve been on a lot of first dates. Back in 1958, shortly after Ken Sanderson and Bruce MacLeod started their company with three employees and a few basic machines, they received the request that would change everything. A Hollywood makeup artist (Howard Mellon) had an idea…and asked the two brushmakers from Palmer, MA, to develop a mascara applicator made from a twisted wire brush…up until then, the product was put on using a device similar to a wood screw, uggh! Soon, with submitted samples accepted and production capacity built, Sanderson MacLeod would go on to establish an industry standard that is still widely used today. Neither mascara nor the way young women prepare for a first date would ever be the same again… Thanks, guys. Psst…Looking for a tip? The Z-Tip. We’re always looking for better ways to solve even the most challenging customer problems. That’s why, knowing the flaws of existing medical protective brush tips, we set out to find a better way. Searching beyond the brush industry, we found our answer in material joining engineering. After many rounds of exhausting research, trials, and consumer testing, we devised a new manufacturing process using high-energy fusion-welding technologies. The result? Fully automated, high capacity, vision controlled production lines capable of transforming preconstructed core wire sections of twisted wire brushes into a consistent (+/- .001”), smooth and inseparable protective tip. The Z-Tip. No other brush maker is doing anything like this. Pickles and Ice Cream? Not so good. Our new hybrid brushes? Really good. Sometimes, combining two great things make them even better. Think peanut butter and chocolate. Think baseball and hot dogs. Think pickles and ice cream….well, most great things. Now, for the first time, Sanderson MacLeod’s patented attachment process makes combining never before possible materials (such as molded and traditional fiber brushes), tools, testing materials and molded components a reality. Imagine…No more wishing a brush could “almost” do something. Discover the new aesthetic and functional possibilities for designing your ultimate multi-purpose cleaning, deburring and polishing tool today. The way we see it, the only thing better than having one great thing is having two…Together.